After losing her fiance, friends, and job, Wendy Fairmont moves back to her hometown to lick her wounds and start over. But when she discovers the man next door may have been murdered, she's sucked into an investigation that isn't making her too popular with the new neighbors. Finding herself as the guest of honor at a surprise party for her 55th birthday, Nora is thankful for the wonderful friends and family with whom she has been blessed. She’s also grateful for how long it has been since ending up knee-deep in a murder mystery. For years, her days have been filled with delicious baking and fantastic times with loved ones. Life is good Then her housekeeper is found dead, poisoned by berries. To make things worse, the new sheriff seems determined to brush her death off and move on. But Nora knows this wasn’t an accident. Thirty-year-old Allie Treadwell is a singleton. She's a foodie and a runner. A restaurant reviewer by day, and a Netflix aficionado by night. 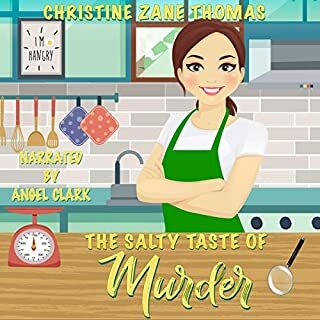 Even if it doesn’t make her the most popular dinner guest in the charming southern town of Lanai, Georgia, Allie’s reviews are always honest. And her latest is no different from any other. But Allie’s review isn’t the only thing to hit the newsstand. The restaurant’s owner, Jessica Hayes, was found murdered. When Jessica’s husband, Miller, is labeled the prime suspect, Allie’s convinced the police are mistaken. She's a sharp cookie. But so is the killer! When an auction of family treasures leads to murder, amateur sleuth Deena Sharpe sets out to catch the culprit. A missing coin collection could be the key to the puzzle. While Deena babysits the thrift shop for her friend who is out on maternity leave, strange things start happening. Her sister-in-law Estelle thinks they are messages from beyond the grave that point to the killer. Can they separate truth from fiction before someone else gets hurt? 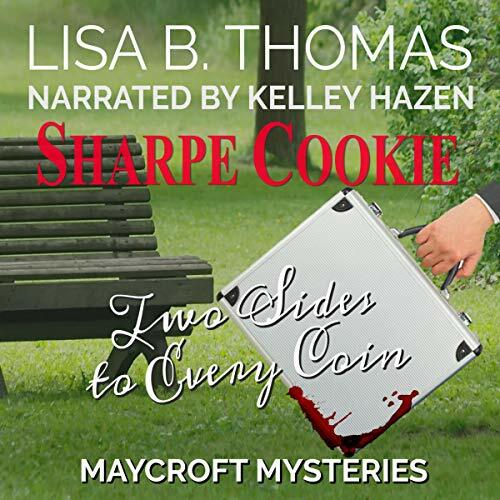 Sharpe Cookie is the fifth book in the Maycroft Mystery series by Amazon best-selling author Lisa B. Thomas. 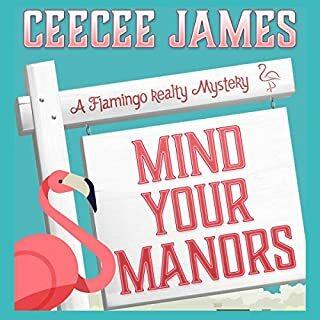 If you like a savvy sleuth and a twisty plot, this clean cozy mystery series may be your new favorite! One of the best (yet) in this series! One of the best (yet) in this series! Sharpe Cookie is especially fun because of the supernatural element. 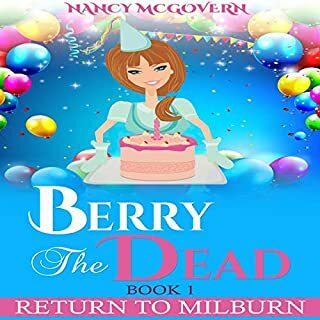 Having just lost her mother, Deena's sister-in-law Estelle sees "signs" of communication (from the dearly departed) from beyond the grave at every turn. Naturally the deceased is working hard to help solve the mystery (missing coins) with the amateur gumshoes. Deena tries to maintain patience and a sense of humor for Estelle's growing quirkiness as the two cultivate their relationship outside of Deena's brother. Pair that dynamic with a good murder mystery crime plot and a hilarious drop-in visit from a fortune teller and you've got a chuckle out loud (repeatedly) experience when you read Sharpe Cookie. As always, the narrator captures these characters perfectly. I was given this free review copy audiobook at my request and have voluntarily left this review. The best in the series so far! In <strong>Sharpe Cookie</strong> by Lisa B. Thomas, Deena and Gary Sharpe accompany Deena's brother, Russell Sinclair, and his wife, Estelle Fitzhew Sinclair, to the high- end estate auction of Estelle's parents. To honor her parents, Estelle has her family's old chauffeur, Leonard Deets, drive them to the auction in the family's old Bentley. But things go wrong at the sale, as Estelle notices items getting auctioned that she had set aside to keep. When a cherished painting goes up for auction, Estelle races to the front, grabs the painting, and runs out the building, only for everyone to hear a scream. When she goes outside, Deena finds Estelle staring in horror at Leonard lying dead on the ground next to a gold coin belonging to a set scheduled to be sold but discovered stolen. It looks like he was killed when the coin thief escaped with the set and ran into Leonard. Determined to get to the bottom of the murder of her mother's loyal driver, Estelle enlists the assistance of Deena to help her investigate the case. Assigned to do community service for kicking the auctioneer in the shin when taking the picture, Estelle helps out at the charity thrift shop run temporarily by Deena while her best friend is on maternity leave. Then strange things start happening in the store, which Estelle interprets as messages from her dead mother. Soon the sisters- in- law find themselves rushing to solve the theft and murder before someone else gets hurt or even killed. <strong>Sharpe Cookie</strong> was a fun, creative book in the Maycroft Murder Mysteries series. This sixth book is my favorite so far in the series. It had a great plot, with delightful details and characters. I had fun as the women keep changing their minds about the identity of the murderer, coming to a new conclusion each day. The pair's deductions have clever repercussions for the unique plot points. The characters add a lot to the fun of the book. I especially enjoyed getting to know Estelle, who is usually down-to-earth with her blue- collar husband, Deena's brother, Russ. However, she can channel her mother's imperiousness when necessary to interrogate people. The developing relationship between Deena and Estelle adds significantly to the pleasure of listening to this book. Kelley Hazen performs the audio edition of <strong>Sharpe Cookie</strong> and adds to the fun of this delightful book. I particularly appreciated her voicing of the character of Estelle, who speaks with a different accent than the Texan accent of Deena and others from her community. Hazen does a great job of making this book come alive. I thoroughly enjoyed listening to <strong>Sharpe Cookie</strong>, a highly creative book that uses twists and turns to make the plot all that more pleasurable. I definitely recommend listening to the prior books in the series before this one, but fans of the series will especially appreciate this book. I give this book five stars. <strong>Disclaimer: </strong> I received this book for free for review purposes, but that had no impact on the content of my review. I really enjoy this series by Lisa B Thomas. I find myself being pulled into the stories from the very beginning. I love the unexpected twists and the endearing characters. Kelley Hazen does such an amazing performance with her distinguishable voices for the various characters. One can hear exactly who is speaking and easily visualize the scenes. I will definitely listen to more books by this author and narrator. Ms Hazen's narration is almost perfect, as usual. The voices of individual characters are very well done, the pace of her reading just about right and the interpretation of emotions adds another layer to the experience. 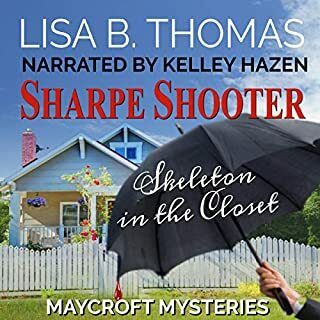 Sharpe Cookie (Maycroft Mystery #6) was another great read by Lisa B. Thomas. Deena finds herself looking into another murder when her sister-in-law becomes a suspect. Deena does a good job of trying to find the truth before anyone else gets hurt. I can't wait to read more by Lisa B. Thomas. I love a good cozy in between thrillers and suspense,. It’s definitely worth a listen The story was great, I liked the characters and the narrator was excellent. This is the 6 book in this series and they are all amazing, funny, mysterious' and above all very enjoyable! I was voluntarily provided this free review copy audiobook by the narrator and found it very entertaining. 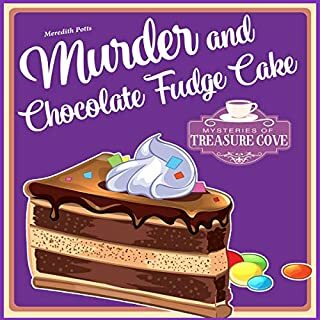 Deena Sharpe, a retired school teacher turned investigator, is looking after a friend's shop while she's on maternity leave, and is going through sleuthing withdrawal. That is until her sister-in-law's chauffeur is killed at an auction of family heirlooms. Once again Deena is middle of a mystery, creating havoc as she goes. It is a great combination of humour and suspense. Looking forward to the next book. You have got to love a savvy older woman who puts her smarts and curiosity towards solving crime. Rookie investigator, Deena Sharpe is fabulous (though 6 books into this series and you can hardly call her a rookie). Deena's small town certainly has a lot of small town politics and plenty of mystery, mayhem and murder. She has ample opportunity to practice her investigative crafts, much to the dismay (and appreciation) of the police. While this is the sixth book in the series, it isn't a requirement to read the books in order, though it may be useful to do so. The reader revisits with the various characters and their lives progress through the series. I love how Kelley Hazen adds texture to her narration. Each character has a unique voice and their individual characteristics shine through. 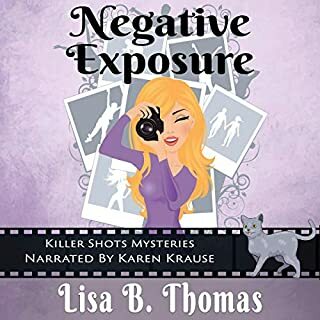 Kelley makes it easy, fun and enjoyable to listen to the audiobooks she narrates. It certainly helps that this series is particularly Sharpe! I would recommend this book and series for a little humourous, light, murder-filled enjoyment.